EDITOR’S NOTE: This article has been updated to include quotes from Leucadia business owners and North County residents about the luxury hotel project. 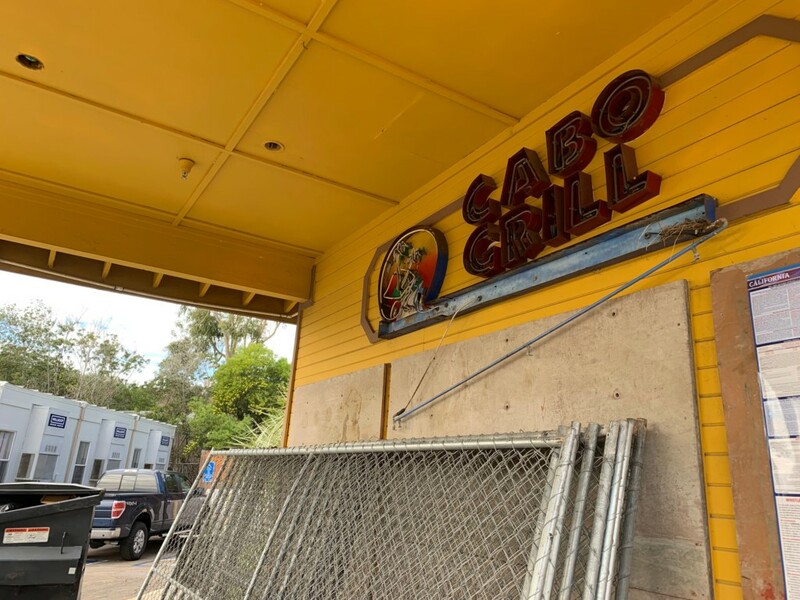 ENCINITAS — A luxury hotel three decades in the making will soon replace the boarded-up Cabo Grill & Cantina on its bluff-top perch overlooking South Ponto Beach near the intersection of North Coast Highway and La Costa Ave in Leucadia. The sprawling 226,000-square-foot boutique resort is scheduled for completion in 2021. The project is headed up by longtime North County residents, Fenway Managing Partner Larry Jackel and JMI Realty CEO John Kratzer, who have expressed their desire to create a luxury experience while preserving the feeling and funk of Leucadia. According to Jackel and Kratzer, research and development is ongoing. An important part of that process has been conversations with members of Leucadia 101 Main Street Association and longtime Leucadia business owners Paul Ecke III and Fred Caldwell. 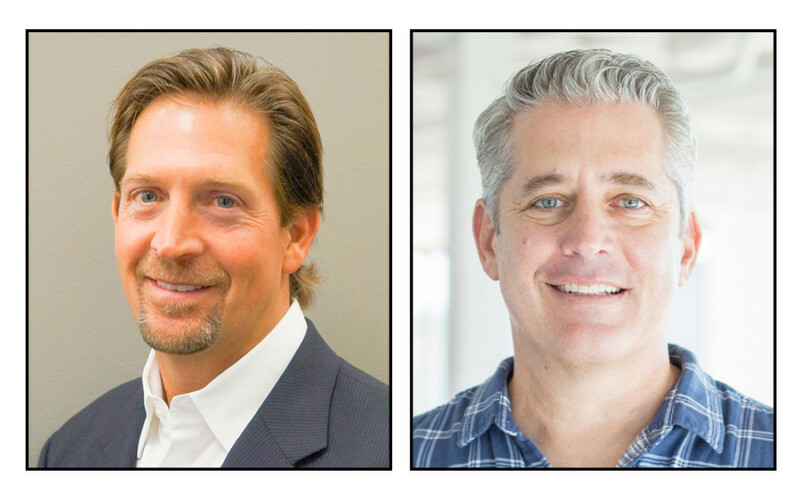 John Kratzer of JMI Realty, left, and Larry Jackel of Fenway Capital Advisors. The project’s opening phase will feature a massive sand replenishment program, returning an estimated 45,000 cubic yards of sand to the city’s beaches. 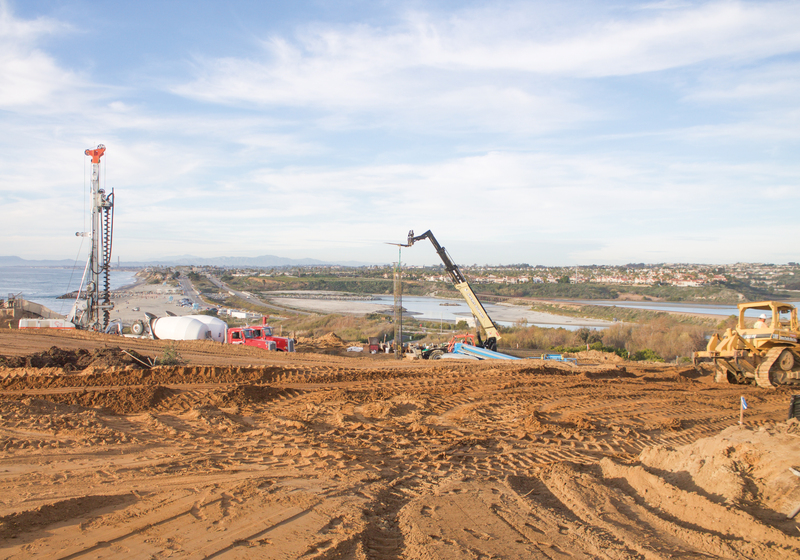 The sand is anticipated to be excavated later this week and will continue through the end of February, according to Assistant City Manager Mark Delin. The proposal has overcome numerous regulatory hurdles over the years, receiving necessary approvals from the City Council, California Coastal Commission and California State Parks, according to the project website. Plans for the ambitious hotel, which were originally submitted in 1989 to the city of Encinitas as a companion development for La Costa Resort & Spa, include a main restaurant with a terrace and lounge, a bicycle-friendly café along North Coast Highway, an outdoor bar, a public spa, a fitness center for guests, meeting spaces, three wedding venues and a publicly accessible staircase from bluff to beach. 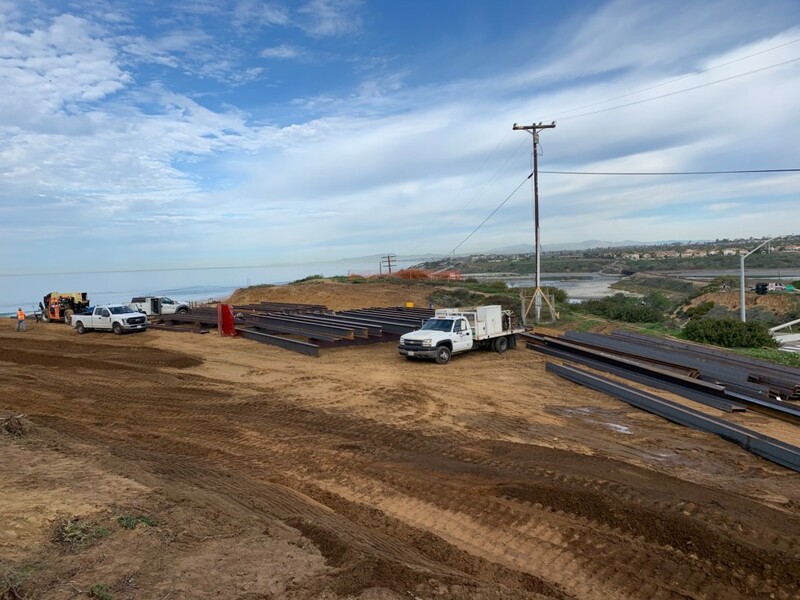 As for its location on the Encinitas-Carlsbad border, one of the major selling points for future customers will be 124 rooms with unimpeded views of the Pacific Ocean and adjacent Batiquitos Lagoon. The goal is to provide a gorgeous view while blending in with the local landscape — authentic and dynamic, but subtle. The hotel will create an estimated 100-plus new staff jobs, another significant benefit to the local economy. As for the name, “Encinitas Beach Hotel,” well, it’s not set in stone. So, how did this Monstrosity get approved by the city planning. The development is still listed as incomplete in providing documents required for city permits on the city website. All of a sudden there are tall pile drivers – really natural rising from the sand. What do they plan to do about water runoff. Traffic is already terrible anytime the 5 is backed up (waze takes them to PCH) and now this monstrosity is going to be another sh*t show getting into Leucadia/Encinitas. It’s good to know that we can build barefoot luxury hotels in the midst of a housing crisis water shortage traffic nightmare because then Encinitas can bring in more TOT taxes like its ugly stepsister to the north. The beauty is it will not affect Encinitas because it is practically in Carlsbad. Way to go city government. Don’t try and address the problems just add to it. Did you guys learn that from Carlsbad? You can’t legislate your way out of a housing crisis created by people who are sick of living in inhospitable regions. The successful ones will move to where the climate is much more tolerable. Infinite growth is not sustainable. When are we going to figure that out? Maybe the cities could use tax dollars to build housing for their servants and children. The barefoot rich–ha! Delusional escapists. This is such a bummer for so many reasons. Our beaches are already over crowded, it’s a pain to try and find parking during the summer (this hotel won’t help). Traffic is already gridlock ( this hotel won’t help) La Costa to PCH traffic backs up to the 5 during rush hour and almost all summer long. PCH north and south thru Leucadia is bumper to bumper and the “1lane project” is just an empty promise money pit that won’t solve any traffic issues. We are in the middle of housing crisis (not that I want more homes) and on/off drought crisis…this giant hotel won’t solve any of those issues. I feel for the folks that own homes off La Costa/Volcan/PCH, they didn’t sign up for this mess when they bought their homes and I don’t seeing adding any value to their homes either (some homes already up for sales to get out before this gets built). Thanks Encinitas. We’re trying to keep developers’ hands off Ponto to preserve one of the last refuges from coastal commercialization and now this. It’s way worse than anything proposed within Carlsbad. The watercolor rending does not show where this monstrosity will sit on the bluff . Will the viewpoints that the residents currrntly enjoy be lost to this development? The top outlook is closed off now due to construction. I’ve been watching this project now since it started as I run by. My favorite are the New York style mafia bosses with their long coats walk around in the bike lane blocking access. They clearly are out of touch with the community. The workers are smoking right on the highway that walkers, runners and bikers are enjoying not to mention the cigarette butts. The morning commuters I see are backed up for miles trying to turn left from PCH to La Costa because the developers have shut down one lane (which gives a taste of what’s to come if “Streetscape” comes to fruition. Look, I understand the property owner is entitled to sell this valuable piece of property and progress has to come. Do we really need another hotel with two Hiltons just up the coast, luxury or not? Our Coastal Commission is failing us these past few years as they oust anyone who really cares about protecting our coasts with sound judgement. I know I’m aiming for Encinitas City Council like never before in the 12 years I’ve lived here. Please run for office! We need people of conscience who live, work and experience life here over time to make the decisions that impact us all. According to attorney Marco Gonzalez he had a hand in this hotel. As he has said, he works for developers. The traffic on PCH is already horrendous. Sewage and waste from this monstrosity will destroy the local beaches. 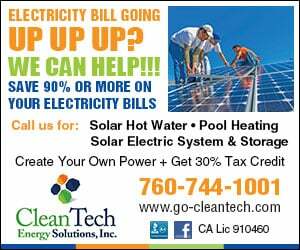 When will the local governments (Encinitas, Leucadia, and Carlsbad) figure it out? The reason the local residents live here is the quality of life that you are destroying with these huge development projects. Coastal Commission where are you in all this? You have the ability and responsibility to stop these kinds of developments! How do locals benefit by this tourist magnet?